20x optically stabilized zoom lens, at an equivalent 24.5 mm to 490 mm, F2.8 to F4.5. 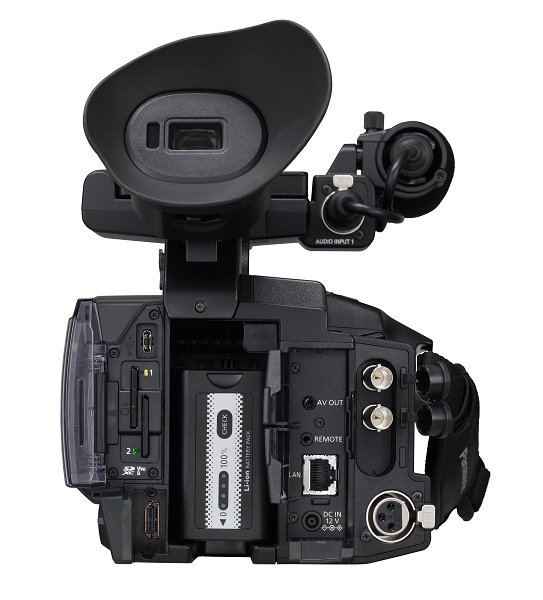 It supports 3G SDI (up to 1080/50P/60P, 10 bit 4:2:2) and, HDMI out up to UHD. Also supported IP streaming and a host of simultaneous recording options. The 1.0-type MOS (approximately 15,030,000 pixels) offers an outstanding depth of field and excellent balance between image quality and sensitivity. It supports multi-formats, such as UHD (3840 x 2160), FHD, HD and SD, and provides images without cropping in all modes. This MOS sensor also boasts high sensitivity of F12 (60 Hz) /F13 (50 Hz) (in both UHD and FHD in High Sensitivity mode). The AG-CX350 has a built-in hybrid image stabilizer that combines optical and electronic camera shake compensation functions. It corrects camera shake in five axial directions in all modes* including UHD to provide powerful camera shake compensation power in low-angle shooting, high-angle shooting and all other unstable conditions. There are three modes to choose from: NORMAL (standard), STABLE (effective for fixed-frame shooting) and PAN/TILT (effective in panning and tilting). * Excluding Super Slow and VFR modes. The AG-CX350 features HLG (Hybrid Log-Gamma)* to support HDR (High Dynamic Range). This achieves a wide dynamic range on HDR-compatible TV monitors. The gamma mode can be selected from eight modes (HD, SD, FILMLIKE 1, FILMLIKE 2, FILMLIKE 3, FILM-REC, VIDEO-REC, HLG). * The HLG specification was developed jointly by Japanese broadcaster NHK and the BBC in the UK. It is defined in ARIB STD-B67 and ITU Rec. 2100. Q: Just wondering if you have an ETA on these cameras? Thanks! A: We just received another shipment of AG-CX350 cameras this afternoon on March 29. 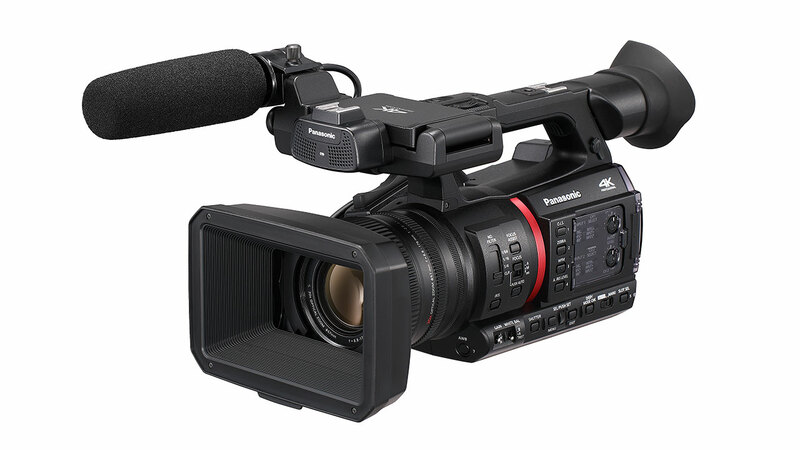 The Panasonic AG-CX350 is scheduled to start shipping at the end of this month, February 2019. Q: What audio inputs are available on this camera? 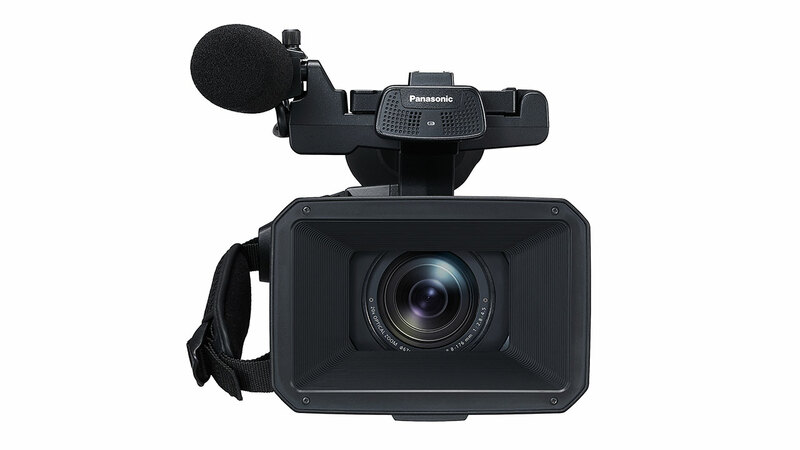 A: The Panasonic AG-CX350 has two XLR 3-pin inputs and a built in Stereo Microphone.